Keeping score: Are security ratings for third-party vendors necessary? The 2013 Target Corp. breach thrust the issue of third-party risk management into the open. It was after the executive resignations and colossal payouts that large enterprises started to appreciate that, even though they may have internal security controls in place, business partners and other third parties may not meet the same levels of security. 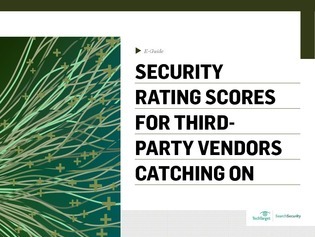 In this e-guide discover why implementing security rating scores for third-party vendors is catching on, and if their impact is showing to be an overall positive one for the industry.